Nonprofits Clean Label Project and GMO Free USA have filed a lawsuit against Panera Bread for deceptive marketing and sale of certain bread products, sandwiches and other goods as “clean,” after products tested positive for glyphosate, the main ingredient in Bayer’s Roundup weedkiller. This lawsuit comes on the heels of GMO Free USA’s glyphosate in restaurant foods report. Certain Panera samples contained the highest glyphosate levels of fifteen restaurants tested. The National Restaurant Association “Top 10 Concept Trends of 2018” survey of 700 chefs ranked “natural ingredients/clean menus” as a top three consumer dining trend. Restaurateurs are aware that the general public is increasingly seeking out healthy foods, free from unnatural ingredients and synthetic chemicals. 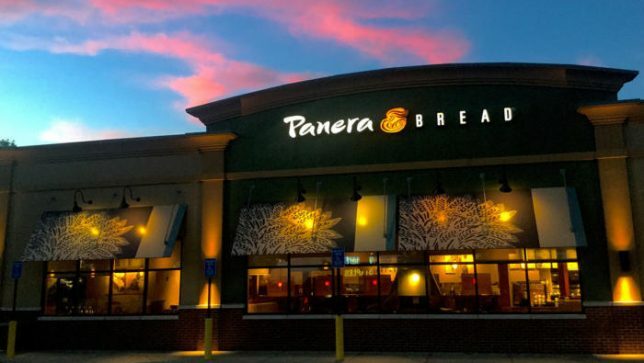 “Panera has invested heavily in a campaign, convincing consumers that their food is ‘clean.’ Reasonable consumers would expect that Panera’s food would be glyphosate-free,” said Jaclyn Bowen, executive director of Clean Label Project. Last week a federal civil jury ordered Monsanto to pay more than $80 million in damages to Edwin Hardeman over his claim that the weed killer Roundup caused his non-Hodgkin lymphoma after decades of use. This was the second jury to rule against Bayer in a Roundup cancer lawsuit. More than 11,200 cancer cases await trials. “Glyphosate is a patented chelator, antibiotic, and is linked to serious adverse health effects including cancer, infertility, and non-alcoholic fatty liver and kidney diseases. Glyphosate shouldn’t be present in the food system. A company that willfully misrepresents its products as ‘clean’ must be held accountable,” said Diana Reeves, executive director of GMO Free USA. The Panera suit, filed under the D.C. Consumer Protection Procedures Act by the nonprofits’ counsel Richman Law Group and Children’s Health Defense, seeks to end Panera’s deceptive business practices by requiring full disclosure of contaminants present in their “clean” products and/or a reformulation of their products to match their marketing.